For a long time now, I have been convinced that we forget things. Not just inconsequential details, but things that matter. Whole moments. Massive swathes of time get lost, or more precisely, replaced, by the present situation we find ourselves in, and by new passions and priorities. I think it is like having a small library in your home, full of books you have acquired here and there. Once you finish reading a new book, you store it away in a bookcase, and it might take years but eventually, you fill that bookcase. Then you start a new one next to it, and continue to grow your collection indefinitely. But as you acquire and read new books and then store them away, there are books in your bookcases that you no longer pay attention to. Their narratives no longer play out in your mind. Even some of the books you thoroughly enjoyed, books that moved you, or had something profound to say, they never come to mind any more, because you've got newer books, and all sorts of other pursuits and pastimes to think about, a spouse perhaps, children, and whatever else; a whole life to live in the present; and hopes for the future. Notice though how not every book is forgotten. We may even quote certain old books regularly. They may even be shaping our current worldview. But the point is that some of the books in the bookcases are forgotten. They simply don't come to mind any more. To step out of the metaphor for a moment, I think of my time at my primary and secondary schools. I no longer remember the majority of my teachers. I can picture more of their faces in my mind than I can recall their names. The same can be said about my classmates. I have also forgotten the gist of the vast majority of conversations I had with my teachers and classmates. And more interestingly (to me, at least), the conversations that I am able to recall are a strange assortment of emotional moments: moments of congratulation and rejection, a tiny fraction of the bullying I suffered, more vivid memories of the one time when I bullied back (and the punishment I received for that). And when someone confided in me. When I could tell I was loved. But I'm very confident that I have forgotten many other important things that happened at school. I don't know, but you yourself may be one of those people that have shared an important moment with me that I don't think about any more. Or perhaps you don't think about it, but I do. Or perhaps we've both forgotten, and it's relegated to our libraries until something draws us to pick it up again. OK OK OK, I'll let the metaphor rest now. 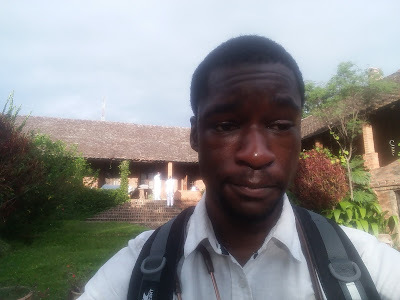 I think this photo is a good reminder to me of how bad my hay fever was in Malawi. I could hardly see through my eyes. I took Cetirizine from that day forward. Perhaps for some of us, our past is filled with horrors and great suffering. Perhaps it hurts to recall it. Perhaps some of us cling on to the present with all our might because if we dwelt on what has happened to us in the past, we would be too crippled with fear to try again, or to move forward. Like how they say mothers never fully appreciate their past labour pains. Forgetting seems to be a kind of defence mechanism - perhaps it's built in! 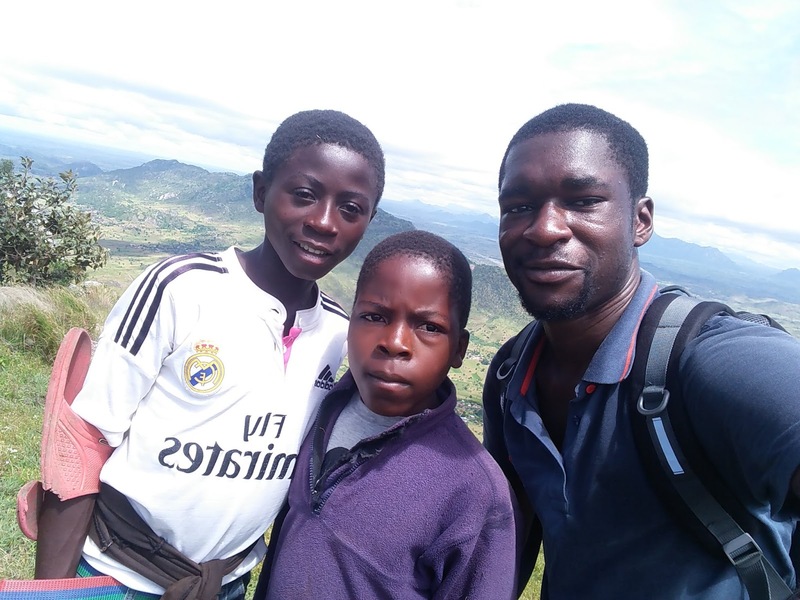 Anyway, recently, I returned to the UK from a four-week trip to Malawi, where I worked in a rural hospital, and did many other things. The whole experience, like so many of my experiences, reminded me of man's forgetfulness. A blog like this may be a kind of remedy. Well, if this is even a malady, that is.